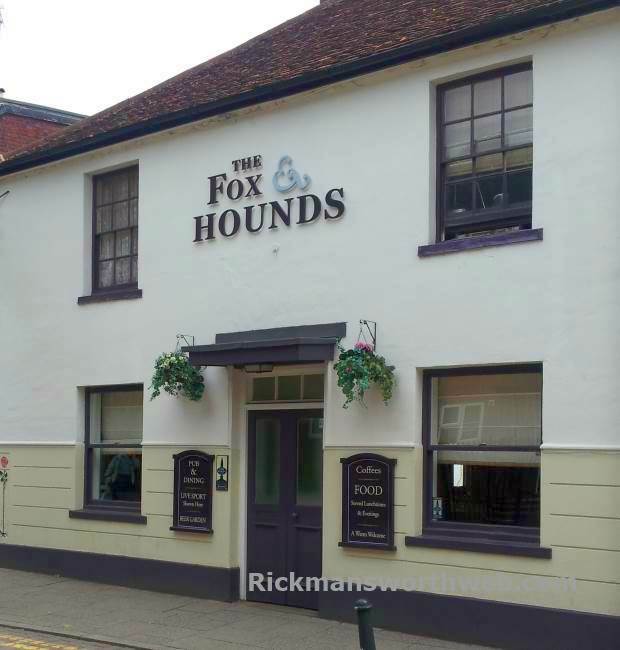 The Fox and Hounds Rickmansworth is a friendly pub located on the High Street, is open 7 days a week, has a lovely beer garden and offers a large selection of drinks, food and bar snacks. There is always two regular ales available, and two guest ales on sale on a weekly basis. The Lunch Menu is served between 12 noon and 2pm, and is great value for money. For example, you can get a delicious grilled chicken burger, served with salad and chips for only £5.45.